The best way to get to know a community is by scheduling a tour. 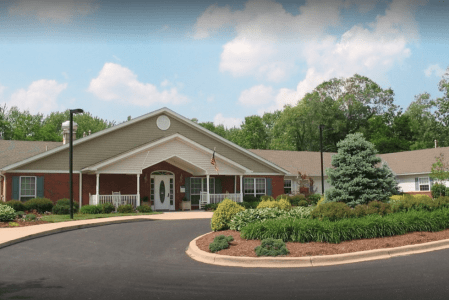 See the facilities, meet the staff and residents, and get a feel first hand what it's like to live at Park Louisville by Senior Star Memory Care. We are made up of passionate caregivers and connectors who all share a common goal: provide unparalleled life experiences for those we serve. Our residents are given the opportunities to live easier and enjoy the newest chapter of their story. Our team’s collective expertise, innovative approach and passion for seniors has given us a solid history of delighted residents, happy families and empowered employees. We hold ourselves to an incredibly high standard and measure our success by the smiles on our residents’ faces. Park Louisville is dedicated to care for residents with Alzheimer’s and related dementias. We seek to help family members find peace of mind by providing a safe community and environment where residents can experience and celebrate their individuality. Our community was designed with our memory care residents in mind. Our community is divided into four houses, all with private rooms for safety and simplicity. Residents are allowed to walk through our secured common areas which connects all of the houses together. We seek to offer an environment where our memory care residents can feel secure, comfortable, and engaged. Our residents can walk through the entire secured facility, and they have access to a secured courtyard with a quarter mile path. At Park Louisville we do an hourly location check, 15 minute checks for those walking outside, on each of our residents to ensure their safety. We understand the special attention needed for memory care patients, and we strive to provide a safe and supportive community that nurtures the individuality of memory-impaired persons. We also have Geriatric Doctors, Psychiatrists and Out Patient Rehab available on site.